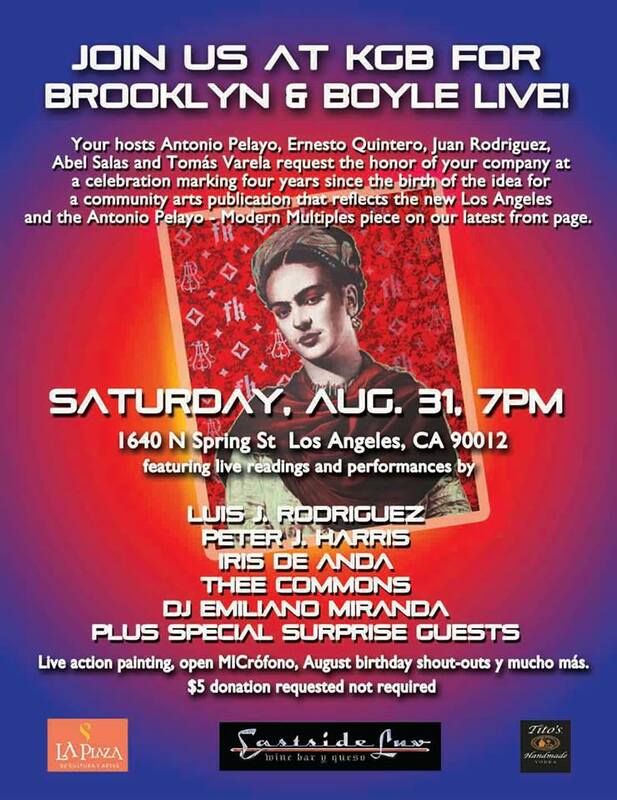 Brooklyn & Boyle | Art and Life in Boyle Heights : Brooklyn & Boyle KGB Celebration Aug. 31st! Brooklyn & Boyle KGB Celebration Aug. 31st! 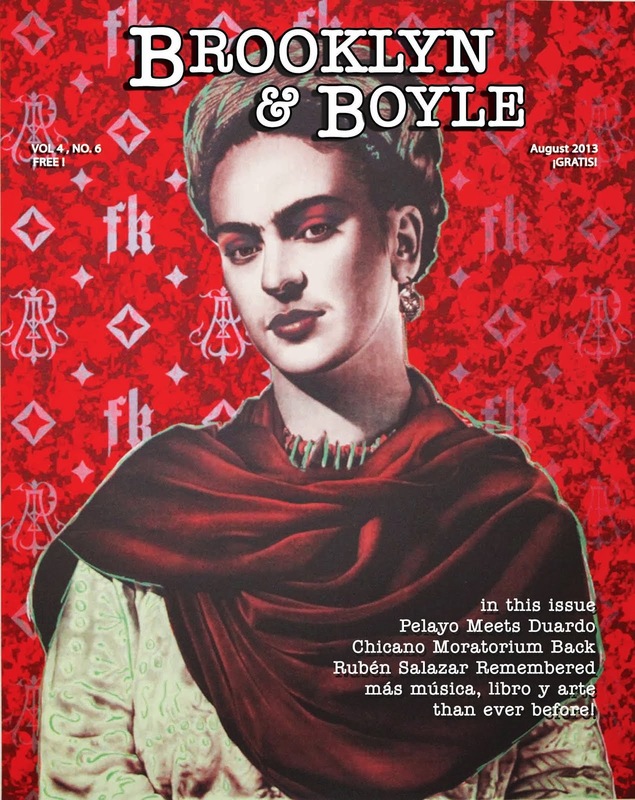 Brooklyn & Boyle is pleased to announce a first-time ever collaboration between artist, master printer and Modern Multiples founder Richard Duardo and artist Antonio Pelayo. One of the prints resulting from their recent collaboration (attached below), will be featured on the cover of our next issue. A special fundraiser/celebration honoring the artists and acknowledging August birthdays for so many of our artist, poet, writer and art aficionado friends (among them your humble Brooklyn & Boyle editor) will be held at KGB Studios on August 31st. The event will feature live music, poetry, and an art auction as well as good eats, delicious refreshment and good vibes. Business owners and well wishers are invited to participate at several levels as advertising sponsors. Sponsors who purchase a full-page ad taken out at the discounted rate of $300 ($400 for full-color) will not only have their message placed in 6,000 copies of Brooklyn & Boyle, but will have their logo printed on post card and poster invitations to the August 31st event, in addition to inclusion on prominent banner signage during the event as well as listing on social networking announcements of Facebook and Twitter in advance of the event. Full-page advertisers will also receive four VIP guest list tickets which include two complimentary beverages each. Half-page advertising sponsors who come on board at $175 ($200 for full color) will--in addition to an ad placement in our exciting, much anticipated August issue--receive two complimentary VIP guest list tickets. We are also making quarter-page sponsorships available for $100 ($125 for full-color). Quarter page advertising sponsors will receive one complimentary VIP guest list ticket. We look forward to working with you in an effort to help market your business, product or service to a select and growing audience of readers who recognize that art and culture are a large part of what make our neighborhoods and communities so special.